Bharti Airtel today announced the launch of its mCommerce service Airtel money in Chennai. In 2010 Airtel was granted the license to use the Semi Closed Wallet by the Reserve Bank of India. 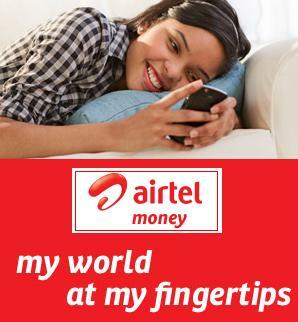 Airtel Money offers customers to make cashless payments through the mobile phone in a fast, easy and secure manner. As an introductory and limited period offer, current Airtel mobile and DTH customers can now use airtel money to make payments and benefit from the following exclusive offers. To ensure wide acceptance of payments through airtel money, the company has established deep partnerships with over 750 prominent merchants across Chennai. Airtel customers will be able to pay bills, shop and make payments at these outlets without worrying about the need to carry cash or change. Customers will also be entitled to special discounts and schemes that will be applicable exclusively for transactions made through airtel money. ·Postpaid – 5% discount on bill value upon payment via airtel money. ·DTH – 5% extra value on recharge of greater than Rs. 500 for airtel money payments. it is in initial stage so as of now it is not good to start using this option right now, my way we have to wait for it till it matured, so that we can get it at every corner. but if everone thinks like this then it never matured and common. so u doing well buddy.